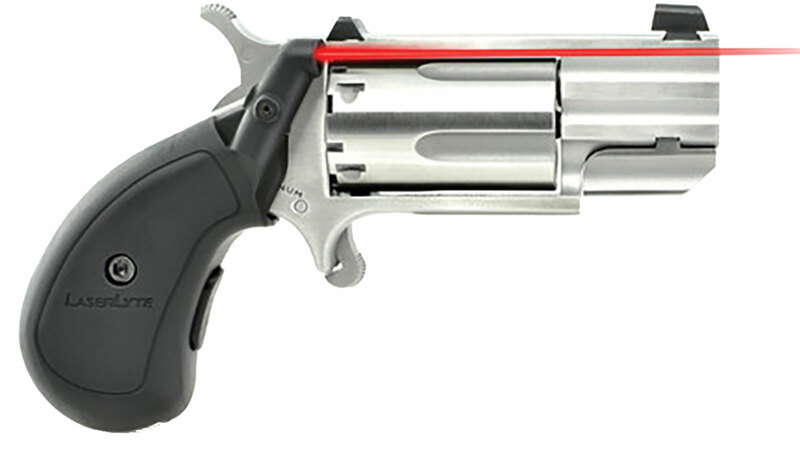 LaserLytes VMini Laser 22LR Grip Laser that fits North American Arms NAA 22 Long Rifle and 22 Short mini revolvers. The 22LR grip laser takes the guesswork out of aiming just put the red dot on target and shoot. It installing with a single screw the same grip laser will fit any 22LR or 22 Short NAA mini revolvers. Their slimline grip design also maintains compatibility with all existing holsters.